In the next future, every student and worker will have the possibility to undertake an experience abroad, enjoying a moment that will enrich them at personal, professional and human level. This is not a dream but the aim of the iMove Network, an umbrella organization bringing together stakeholders involved in the co-ordination of transnational learning mobility of students and staff in vocational education. A network promoting a sustainable model to make learning mobility an opportunity provided by all schools and training centres in Europe. Beginning as a Lifelong Learning Programme funded project in January 2014, iMove today is an umbrella organisation open to members from all over Europe involved in learning mobility within vocational education. 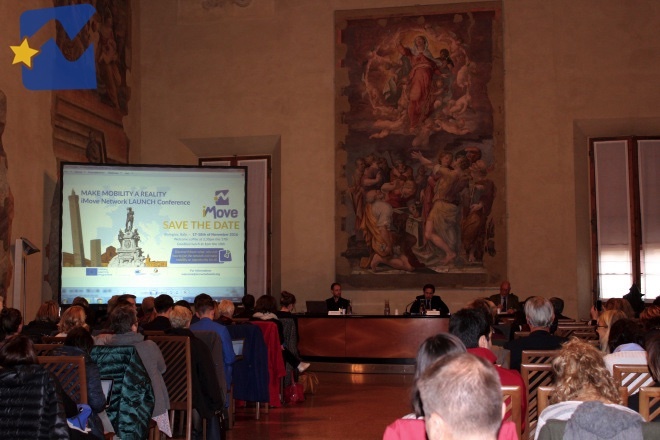 iMove’s legal status is an Association of Organisations founded under the Italian law. iMove members are private and public organizations which have developed or wish to develop a mobility consortium within a specific context (eg. local, regional or sectoral level). iMove supports members in setting up and coordinate mobility consortia to allow VET providers to offer their and staff learners training experiences abroad.